Let’s take the example of Asian Paints. There have been several references and case studies on Asian Paints and how the Indian paint manufacturer transformed itself into a leader in Home Decor/Improvement industry. I will try and relate Asian Paints’ transformation along the 3 pillars above and leverage the well-known framework from the book “Leading Digital”. 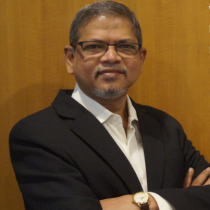 In this first in a series of 3 blogs, I will cover Asian Paints’ Customer Experience journey and the learning that one should derive out of it. Asian Paints is the 4th most valued brand in India (Sep 2016 BrandZ study by Millward Brown) and has always been hailed for being pioneers in their industry. The paint industry in India has historically grown at twice the rate of GDP growth but has been slowing down recently. The customers demand more and the competition has steadily increased over the years. Dissecting the vision, we can clearly see that the company is aiming to engage and delight all its stakeholders across various interaction points through a combination of differentiated products and services to achieve and guarantee future returns. Having put forth a driving statement, the next step was defining customer journeys, touch-points and identifying typical customer personas by putting on the same lens as the customer and accepting that the modern customer has access to similar or more information than the organization. Asian Paints also extended the customer journey to include touch-points prior to paint purchase and post purchase. The intent was to identify the full ecosystem and build products and services that help place them as the company of choice when it comes to Home Improvement and not just a paint provider. The next step was identifying typical customer personas and their behavior/intent by mapping their journeys in the path above. Examples of 2 very different customer base included the nouveau riche, upper middle class businessmen who wanted an improved living standard but lacked knowledge or access to resources required. His motivation was to display his newly acquired wealth to the society that he lives in. The company calls this segment “Rangeela”. Another example of a customer type could be the highly educated, foreign returned, techie who has seen the world and now wants to replicate the standards in his own home in India. He has access to all the modern channels like the websites, mobile apps, social media, etc. His purchase decision is very different from a “Rangeela” and the company refers to this segment as “Bermuda”. There were several other segments identified on similar lines. Having identified the segments, Asian Paints realized that given the vast differences in customer personas and associated habits, Omni-channel presence was the only way for them to fully realize their aspirations. This led to an Omni-channel strategy that involved reaching out and serving stake-holders in all 3 modes – Physical, Human, and Digital. Refer figure below for more details. With an Omni-channel strategy to capture a wide spectrum of potential customers and having identified full lifecycle of customer journeys, the final frontier left was to extend the product and service lines to include partners, contractors, architects, and interior designers. This required building systems, processes and business models to cater to these new emerging business models. All of this leading to a potential higher Top line growth in the years to come. Disclaimer: The views are personal opinions of the writer from data, strategies and frameworks available in public sources. good read Rakesh. More detailed inputs on customer journey maps would help. Will try and get that. Thanks for your feedback.